This list is for teens who choose the books with pink covers, teens who are looking for a light love story to enjoy over the holiday break. These are great for beach reads or any time your reader wants to just relax with a love story. 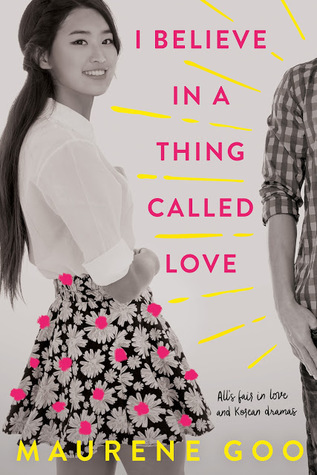 I Believe in a Thing Called Love by Maurene Goo (Farrar, Strauss, & Giroux, 2017). Laugh-out-loud funny, this romance features a determined heroine and lots of Korean drama references. When Desi gets a crush on a boy at school, she's determined to get a boyfriend just like she would accomplish any goal: make a plan, follow the steps, achieve the goal. So she comes up with a plan based on her father's favorite Korean soap operas where the heroine always gets the guy by the final episode. Turns out love is more complicated than that and hilarity ensues. 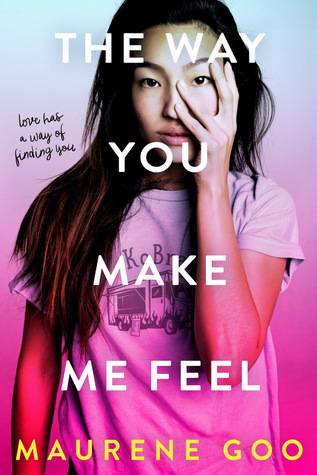 The Way You Make Me Feel by Maurene Goo (Farrar, Strauss, & Giroux, 2018). Why stop at one Maurene Goo title when you could have two? (Answer: don't. Don't stop. Buy them both.) This one's also funny and sweet and would make a particularly good gift for foodie teens. Clara's a prankster but when her homecoming prank goes too far she finds herself sentenced to a summer of hard labor at her dad's Korean-Brazilian food truck. Worse? Her arch-nemesis is sentenced to work alongside her. Of course there's a cute boy at one of their regular stops and even though Clara's never had a long-term relationship, she just might give this one a chance. 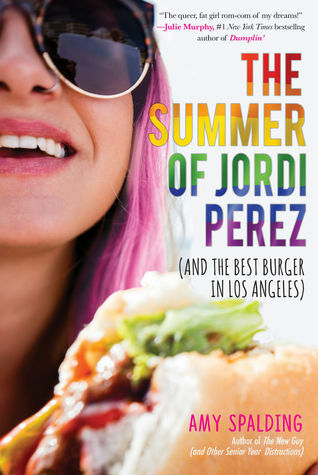 The Summer of Jordi Perez (and the Best Burger in Los Angeles) by Amy Spalding (Sky Pony Press, 2018). This book just oozes summer and it's the perfect read to channel that warm and carefree season. Abby's landed her dream internship at a local fashion boutique - an opportunity that could end in a full-fledged job for the school year. But something unprecedented has happened and the boutique owner has hired two summer interns. Only one of them will get the job and Abby really wants it. The trouble is, she quickly develops a crush on her fellow intern Jordi, which makes it a little hard to compete. 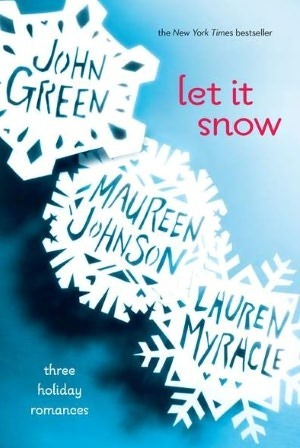 Let It Snow: Three Holiday Romances by John Green, Maureen Johnson, and Lauren Myracle (Speak, 2008). With authors like these, this is a sure bet for the romance crowd. It'd be super perfect for devouring all in one day, say if your reader is spending the holidays with family they don't know too well. These three interconnected stories from YA superstar authors take place over Christmas Eve and Christmas Day, making this a super choice for holiday reading. This would make a great stocking stuffer! When Dimple Met Rishi by Sandhya Menon (Simon Pulse, 2017). Dimple Shah has big plans for herself and nowhere in them is having an arranged marriage (much to her parents' chagrin). Rishi Patel is a hopeless romantic, eager to meet the girl his parents have chosen for him - a girl who will be attending the same summer web development program as him. The problem? Dimple's parents have arranged her match with Rishi without letting her know. 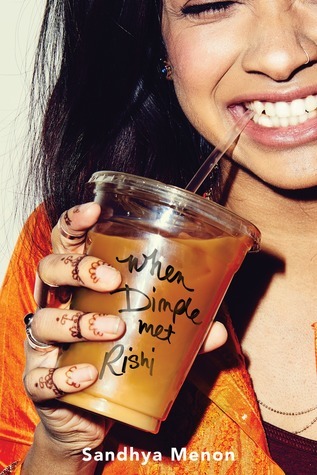 When Dimple meets Rishi, the first thing she does is throw her iced coffee in his face. This is a fun love story about two teens who have very different feelings about their shared culture and different ideas about the ideal relationship. Any of these would make a great gift for the teen on your list who's looking for love (or just looking to read about love). What other love books do you love?